The devs from SYM have released the W Phone 8 app in the Marketplace, available to anyone with a WP handset to try. It simulates what the homescreen of the new mobile OS version will look like, and allows you so set it up any way you want it. You can't run apps through the simulator, but you can take their icons up in the Live Tiles, resize and shuffle those as you see fit, just like you would on your eventual new Windows Phone 8 handset. A pretty neat idea to familiarize yourself with the new environment that will greet you in WP8, giving you a head start in your home screen decision-making when you actually land a device with Microsoft's latest. 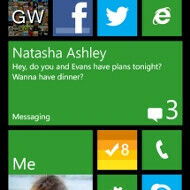 The best UI till date,much much better than WP 7.5 UI.waiting for its release. Sure. You're uglier than a wet sock then. My opinion, I'm entitled to it. Love the way the live tiles flip around! Was afraid the different sized tiles would make the home screen busy... actually it does not at all! I'm using the HTC Radar so the screen is smallish but the improved WP8 home screen still looks great in it! IT LOOK SO NICE ON MY LUMIA 800!!!!!!!! HELL YEA! INSTA BUY NEW PHONE AT RELEASE!!!! 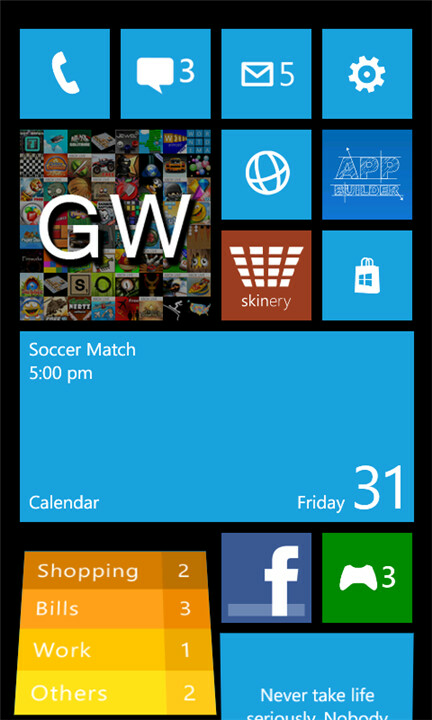 What a fun way to get current WP users excited for WP 8!! The options with the three sized tiles really makes a difference with organization and the flow of the screen!! They didn't need to sell me, but still is fun. I am waiting for the full list of WP8 upgrades. That is the only missing piece of the puzzle. who the fuk is downvoting every comment? who do you think? obviously the one who gets the most thumb down!! !